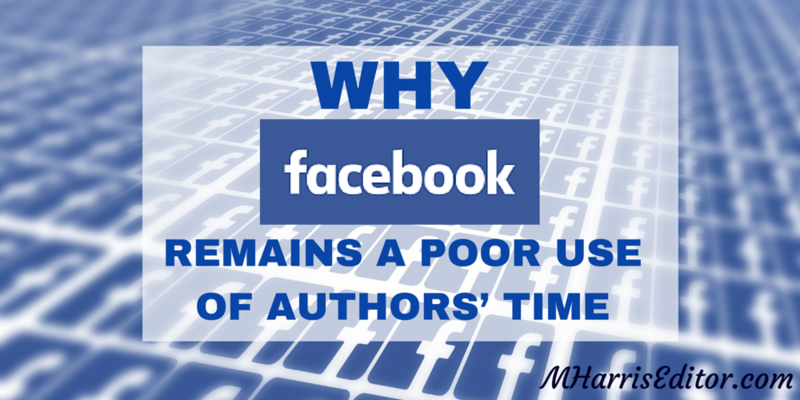 Novel social media marketing has long been a helpful practice for authors, but now with new changes coming to Facebook, will authors have to find new ways to market their books? The latest updates from Facebook have left many brands scrambling to reach their key audiences without paying for ads. Often a source for companies to promote their products and services, Facebook’s newest changes reduce the number of promo updates in the newsfeed, leaving marketers scratching their heads. The same can be said for authors who share updates with their Facebook fans about their latest sales, new reviews of their book, and upcoming project release dates. Take advantage of your website: Unlike Facebook page updates, any changes you make on your website are owned by you and only you. While you might still post updates on Facebook about your novels, leading people back to your website builds your website’s presence and can ultimately lead to sales. Abandon your comfort zone: It is tempting to stay indoors and avoid the outside world, and unfortunately, the Internet makes that possible. Authors may not feel they are good speakers or simply have too many time constraints to do more than post a social media update. However, with the changes taking place at Facebook, authors ought to branch out and try new methods of marketing their books. Take advantage of local community events and meet fans for speaking engagements, book signings, and other events where they might learn about your story and take an interest in your writing. Try new marketing methods. The plain ol’ promotional update is going the way of the dodo, so what other ways can you talk about your novel that will still bring in viewers without triggering Facebook to flag it as advertising? Use your creativity to think up new ways to market your books, either through the digital space or in “analog” in the real world through flyers, direct mail, or other marketing methods you might not have considered. Write! Finally, as we have all learned from our own experiences, social media can be a timesuck and huge productivity killer. For the busy author, taking advantage of precious moments to put more words to page should certainly be of more importance than the latest viral cat video. Spend some of your time marketing your novel on social media, but don’t stress about it. Focusing your energy on other endeavors, such as writing a sequel or beginning to outline a new series, will help you see positive results in your writing and productivity. But if you must market, don’t make it cookie-cutter – try new approaches to your marketing and see what pays off best as you experiment. Whether you have just finished writing your first novel or have a series of novels published, hiring a professional editor for content review, editing and proofreading is a pertinent step towards smoothing out the hidden bumps that may remain in your manuscript. Megan Harris is a professional editor located in St. Louis, but she has worked with authors nationwide on their manuscripts large and small. Contact Megan today to discuss your manuscript editing needs!